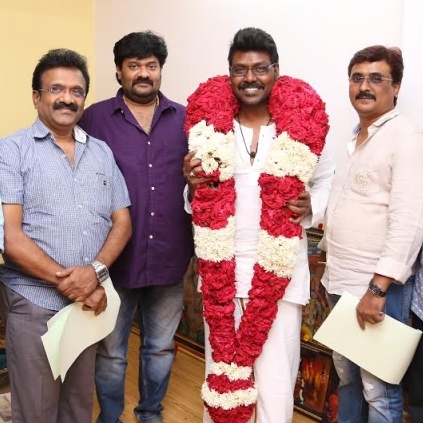 Actor/director Raghava Lawrence, after his victorious Kanchana 2, has signed a film. The multi-faceted actor is currently writing his script for Vendhar Movies’ S Madhan. Lawrence will direct and play the lead in this film. This upcoming project will supposedly be a full-fledged commercial action thriller. The hunt for the heroine and the other supporting roles is on. Looks like Raghava Lawrence is in a mood to entertain his fans! Behindwoods wishes Raghava Lawrence, Vendhar Movies and the rest of the team good fun and great success! Aamir Khan's PK to enter the 100 crores club in China too ! Who is next after Karthik Subbaraj and Nalan Kumarasamy? Simbu's Vaalu gets a final date! Fans go berserk during the screening of Baahubali trailer!! Bold decision to release two films on the same day! People looking for online information on Kanchana 2, Raghava Lawrence, Vendhar Movies will find this news story useful.